Anywhere Fun Goes, It Follows! 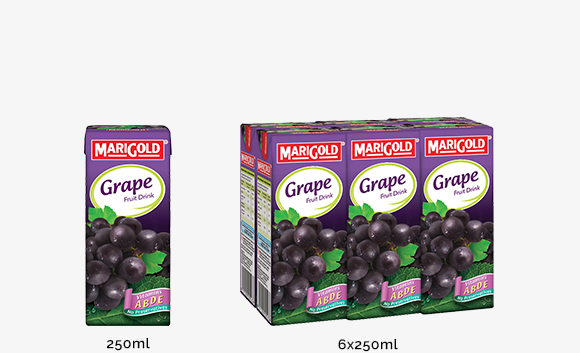 Refreshing fruit juice to liven up any occasion. 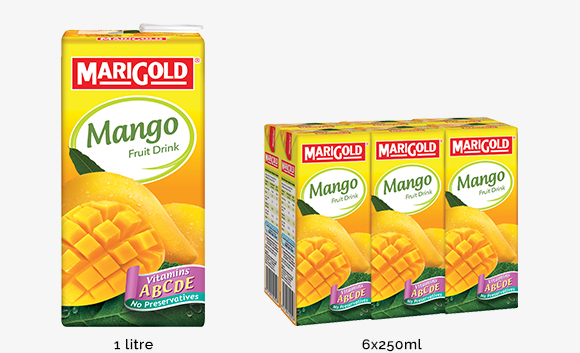 Celebrate fun and liveliness with MARIGOLD Fruit Drinks! 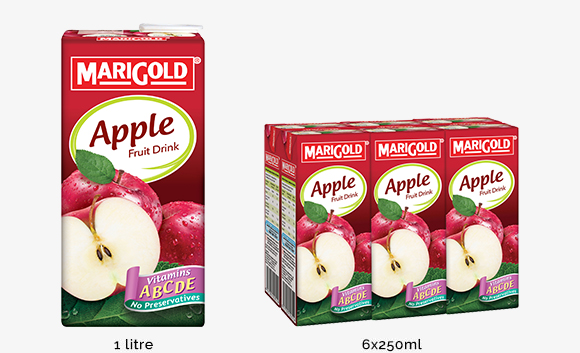 Enriched with the goodness of Vitamin C and no preservatives, perfect for those who desire a quick-and-easy beverage for their active lifestyles. 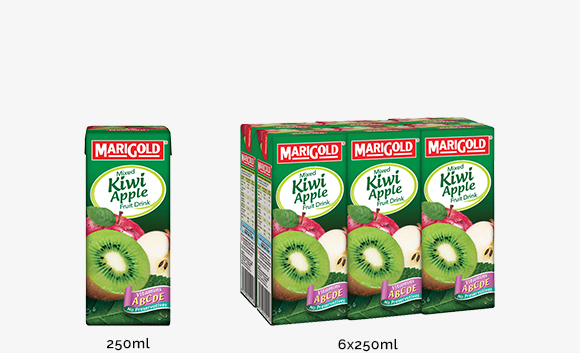 It comes in six delectable fruity flavours including Apple, Orange, Mango, Grape, Kiwi Apple and Peach Lemon. 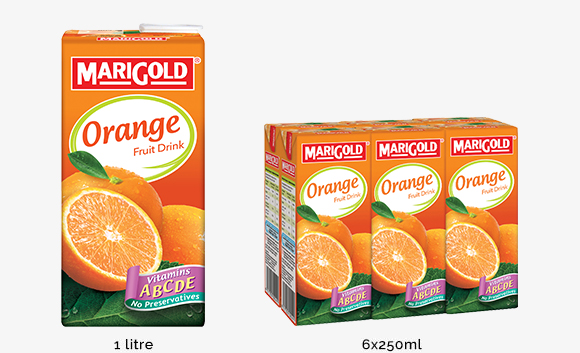 The Vitamin C in MARIGOLD Fruit Drinks helps maintain healthy skin, prevent infections and give a boost to the immune system.